What size stove for an EXP Basecamp 10 x 13? I would suggest the biggest stove you can carry!! If weight and size is not an issue!! You can always shut the stove down or put less wood in it if it is too hot.... But when you need the heat then it's available!! The smallest stove would be one just big enough to get the cooking done burning one pound of wood an hour. Trying for a house, living room temperature, in a tent with only one thickness of fabric to stop heat loss, requires a large stove and lots of time spent cutting wood. It also depends on how much heat the stove sends up the chimney. A stove that has an oven heated by the chimney shows that a lot of heat is expected to be going up the chimney. +1 to ANDN's advice. Go big, or go home. Are you man-hauling? If using a ski-do, take a 12-12-24 stove. Before you make your final decision...how are you travelling? (tobaggon, snow go), how many folks typically in the tent with you?, do you have access to good wood to cut where you expect to travel?, what are you expected temps?, travel mostly on lakes or breaking trail?, your expectation of stove usage and comfort levels?... like are you a base camper and day walker or skier or you really expect to push yourself on the trail? In any case there are probably going to find that there is a larger and a smaller size stove (from what manufacturer?) that will give decent results, but you can fine tune it with your own answers from above and other folks suggestions. I have an 9.5x11 Snowtrekker and the medium stove - It does the job nicely. I was in a prospector last winter with those sheepherder steel stoves Cabela's sells with the flat top - they are a lot heavier and kick out a lot more heat. I was impressed. but that is a car or sled hauled stove - not man hauled. That's a large tent, so a large stove would be a good choice. 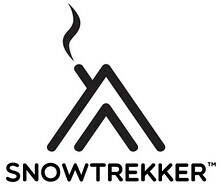 The largest stove that Snowtrekker sells is 12x12x24. Just what Dave Hadfield recommended. I have the same tent and went with the large stove (12 x 12 x 24)... I use the stove and tent mainly for a hunting base camp and I'll only put them on a toboggan in winter when my sons are hauling it otherwise I'm hauling it by motor boat. I have that tent and I use the Snowtrekker Large (Alaskan). Works great, although I've found the stove to be a bit finicky with regard to smoke. I like the bigger fire box for cooking. I can get coffee perking and a couple of pans cooking at the same time on it. It is a lot to haul but I've got a group of 5 so I usually let the rest haul so I can relive them of the burden and demand supervision requires. A bigger stove also helps if you keep a burn going all night. more wood, more fuel, longer burn times so long as you can damp it down enough. And also, I have seen stoves with a jet flame coming out of the end of the pipe when roaring, so lots does go out the chimney. A baffle helps this.